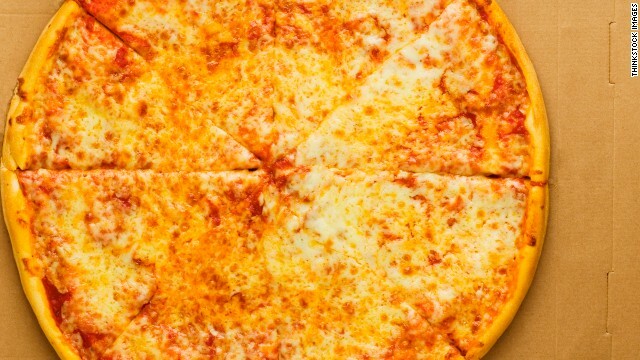 A pizza herb could be the key to killing off Norovirus, scientists say. Do you own a car? A computer? A TV? You're probably moving less, sitting more and buying bigger pants than someone who doesn't. After analyzing data from more than 150,000 people in several countries, researchers said owning all three was associated with a 31% decrease in physical activity, 21% increase in sitting and a 3.54-inch increase in waist size. They also found a 400% increase in obesity and a 250% increase in diabetes among owners of these items in low-income countries. While this might seem like a "no duh," the results foreshadow some significant health problems for developing countries. "With increasing uptake of modern-day conveniences... low- and middle-income countries could see the same obesity and diabetes rates as in high-income countries," says lead study author Scott Lear. Women at high risk for blood clots are sometimes prescribed blood thinners for six weeks after giving birth. New research suggests that may not be long enough. The study followed 1.7 million women in California who gave birth to their first child. Over the next 18 months, 1,015 of them developed blood clots, which can cause strokes or heart attacks. Of those, 248 had strokes and 47 had heart attacks. According to the research, presented Thursday at the American Heart Association stroke conference by study head Dr. Hooman Kamel, the women's risk of blood clots was 11 times greater in the first six weeks and more than two times greater for the next six weeks. Women are more prone to blood clots after pregnancy because components the blood increase during labor to prevent too much bleeding. That makes it harder for blood from the legs to travel to the heart. Blood clots can be fatal if clots in the legs reach the lungs. This seems counterintuitive, right? We know our self-control diminishes as we use it - meaning you're more likely to eat a cookie if you've already turned down a brownie and a piece of cake. But in five experiments, researchers found people make better decisions about their health when they're feeling tired or run down. For example, in one experiment, people with a family history of kidney disease who felt "depleted," were more likely to indicate they'd get tested after reading a warning message than those who were feeling fine. Apparently when our bodies are weak, we're more worried about our overall well-being. That's when consumers start to value products that emphasize safety features, such as sunscreen, the study authors concluded. Yep, the infectious vomiting disease that sickened hundreds on cruise ships this year could be taken down by America's favorite food. More specifically, it could be taken down by carvacrol, a substance in oregano oil that gives the herb its distinctive smell and flavor. Scientists at the University of Arizona found carvacrol breaks down the norovirus' tough outer layer, which would allow another antimicrobial substance to enter the inner part of the virus and kill it. Unfortunately, loading up on pizza before your next cruise won't help, the study authors say. You need a highly concentrated amount of carvacrol, and eating that would cause a burning sensation and numbness in your tongue. Instead, the researchers recommend more research to see if the substance can be used in sanitizers or disinfectants. Researchers at the Yale School of Public Health analyzed the medical records of 134,500 stroke patients and matched them with local weather data. The scientists found large temperature changes and higher humidity were associated with an increase in stroke hospitalizations, and that lower average annual temperatures were linked with more stroke hospitalizations and higher stroke mortality rates. “This study suggests that meteorological factors ... may be stressors that increase stroke risk," study author Judith Lichtman told Forbes. Use the FAST acronym to spot signs of a stroke. Humans realized that food had NANO SHIPS / NANO COMPUTERS. They call the US army ...... give me my DRON. I wish I had still missed these 5 studies! Every single one of these studies is pointless and/or poorly designed. BECAUSE THEY HAVE SATELLITE TECHNOLOGY DISCOVERED IN LATINO TO ROBB VIOLATING AND KILLING. PORQUE TIENEN TECNOLOGÍAS SATELITALES QUE LE DESCUBRIERON EN LATINO AMERICE CON LAS CUALES GRITAN TODA CLASE DE ESTUPIDECES A VÍCTIMAS DE TORTURAS MENTALES. SECRETARIO DE ESTADO EEUU JOHN KERRY DENUNCIADO POR ASESINATO ROBO VIOLACIONES NARCOTRÁFICO ESPIONAJE EN VENEZUELA VIOLACIONES PERSECUCIONES POLÍTICAS VIOLACIONES SEXUALES FABIOLA LEÓN. so...it really is true that watching cnn makes me fat then.